This week I've managed to squeeze in a little bit of making amongst the busyness. 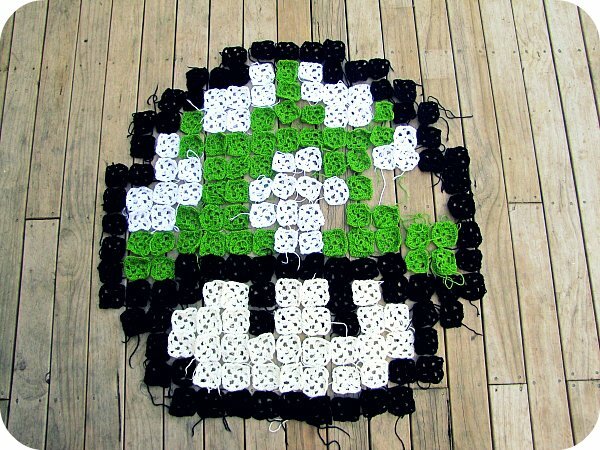 I'm still working on the Pixelated 1up Mushroom blanket (if you don't have a clue what I'm going on about, visit here). I decided to put all the granny squares I've made so far on the deck yesterday to see how much I've done. The mushroom is nearly finished! Now I just need to decided what colour to make the rest of the blanket and put it all together (any suggestions on a colour? I was thinking dark green maybe?). Also whipped up another mustache mug cozy for a friend. I love these!! This looks incredible! Your son is going to be so pleased. Love the mushroom! How about a sky blue colour for the rest??? Wow Kristy, you are so talented!! This reeeeaaalllly makes me want to finish my crochet blanket today!! Red would look awesome clashing with the bright green? The blanket is looking awesome! I can't wait to see it finished. 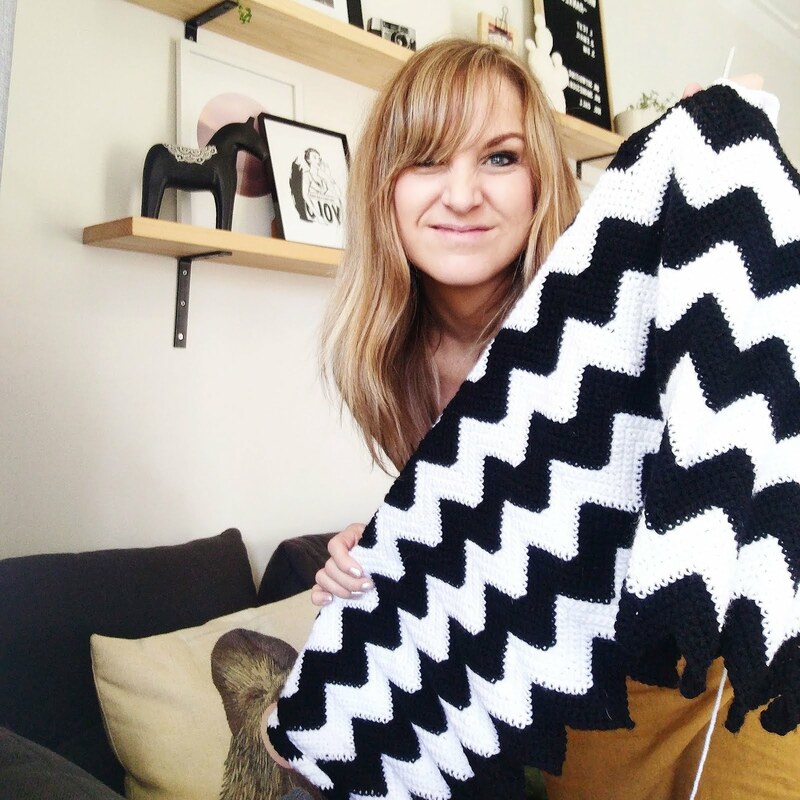 cant wait to see your finished blanket! mug warmer is so cute!! Wow, I HAVE to make one of these for my boys!!! I love it! You have me wanting to make a pixelated something... Hmmm. 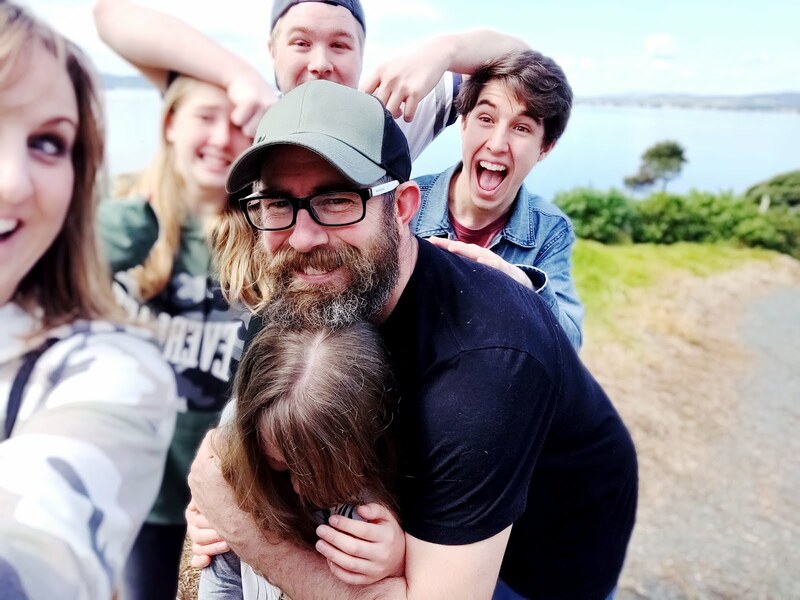 Hope you don't mind, I shared a link to your post on my FB Business page! Love it. Def keep the surround a neutral to make the mushroom pop. Like charcoal, dark green, black etc. I wouldn't introduce another colour. Can't wait to see it done! This is soooo amazing! You are one clever cookie! Cant wait to see the finished product! I LOVE THAT BLANKETT!!!!!! wonderful work! LOVE the mug cosy! I am a little addicted to mug cosies, I am! And you are the queen of granny squares. Thanks for the inspiration to get on with my humbly growing pile! That blanket is going to look a.may.zing! 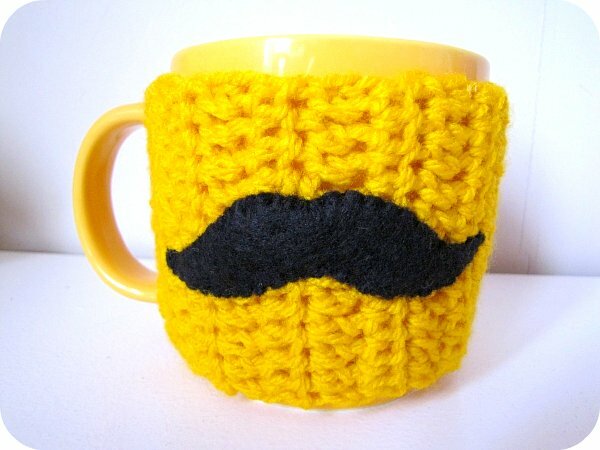 those mustache mug cozies would be great for Movember! I would have bought one as encouragement when my husband did it last year. What a funky mushroom! and great mustache mug cosy too! Great work! 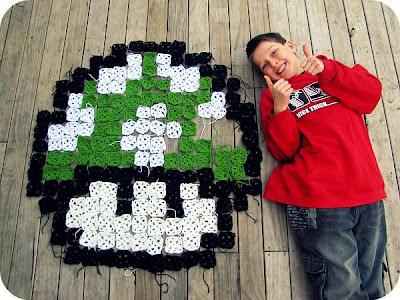 That os such a cool thing to do with granny squares.. Very clever.. I love it!! Brilliant. I love that idea. it's looking fantastic. i'd go for a lime green!! My boys would just love that! I can see a series ahead! I think dark green would look great, or a blue as someone suggested. Um, I need to learn to crochet. That is too amazing. I was going to suggest sky blue also, but I think the comments have changed my mind and perhaps something neutral really would be better. Any colour will be amazing. What a lucky boy! i just love that Mo cozy! Looks amazing! I think any colour would match - I like the red idea, but I just love red! That blanket is looking awesome, where do you get the time? Would be a bit ambitious for me at the moment, but my son would love it, definately going on the to do list. Such great projects! How stinkin cute is that mug! The mushroom is soooooooo freakin awesome!!!!! Wow! how very clever of you. This is going to look amazing when it's all finished! that is so cool! Brings back a few childhood memories. What size hook did you use and did you only do two rows of a granny square for each square? I can't seem to find the materials needed or the instructions to start a blanket or rug like this. I can't remember what hook size I used - probably around 5-6mm? Yes, only two rows for each square. Do you think if I have smaller ply wool it would be ok to do 3 rows for each square? 2 doesn't seem big enough.. hmm... I'm using size 4mm hook. Hi. Yes, I did three rows for each of mine (probably hard to see in pic). All the best! Thanks so much for responding, I really appreciate it as I was worried about going ahead not knowing if I was doing the right thing. I thought you had only done 2 rounds. Thanks again. Time to hop to it! !